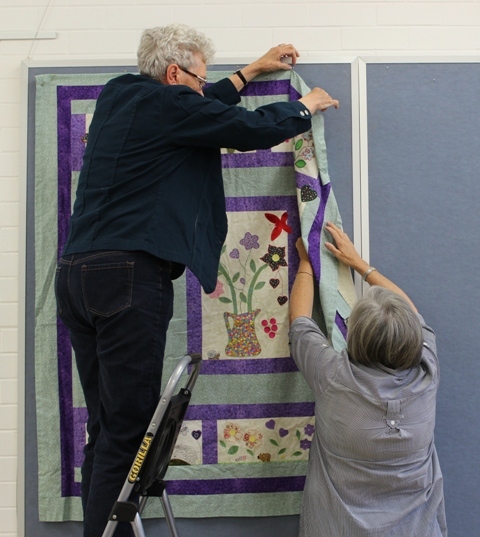 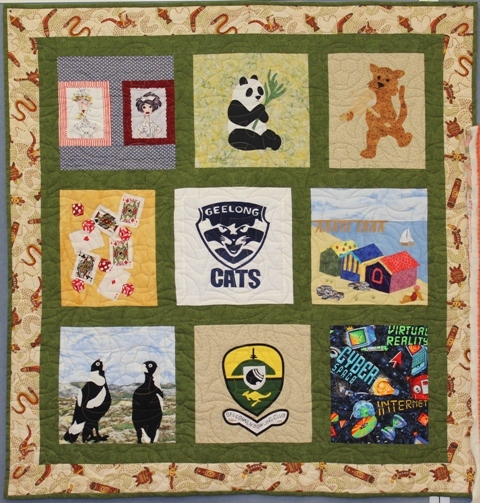 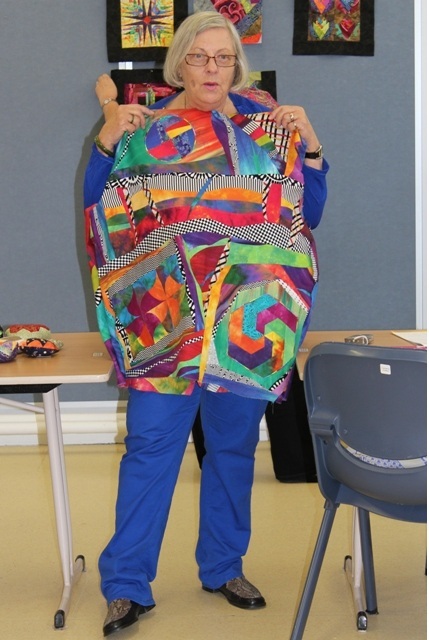 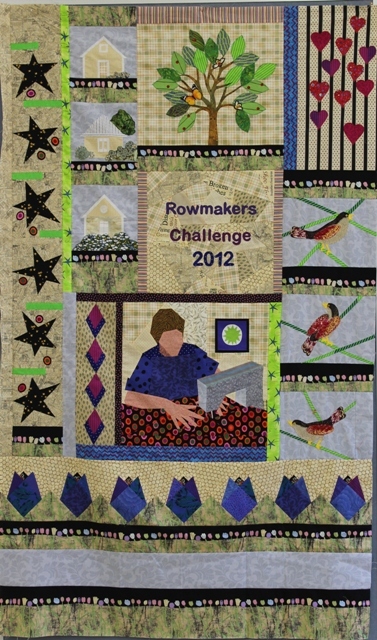 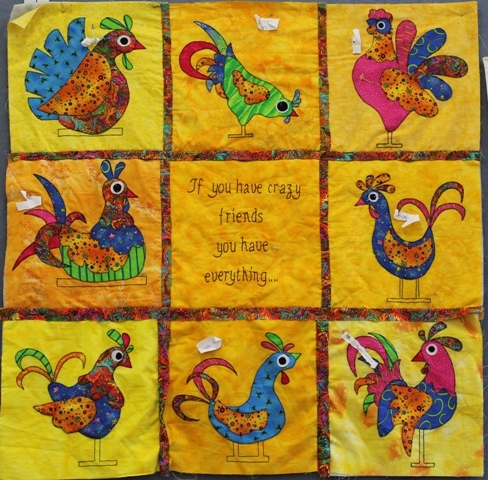 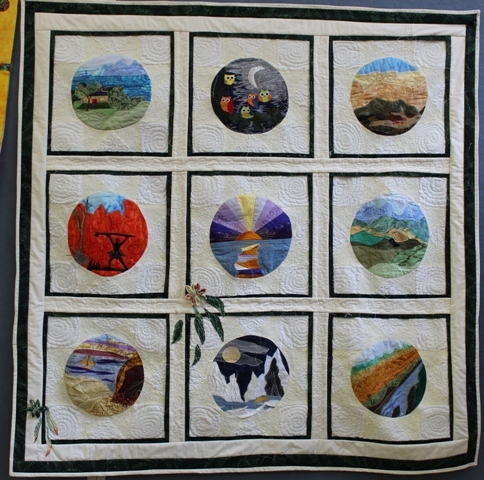 Rowmakers group to meet again in 2013, results from 2012 | Canberra Quilters Inc. 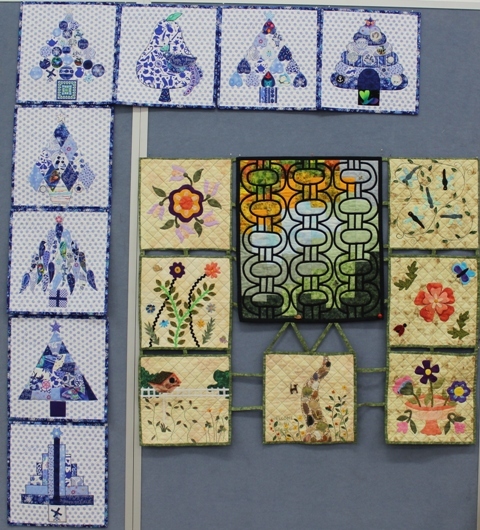 The design exercises that were undertaken in 2011 and 2012 will happen again in 2013. 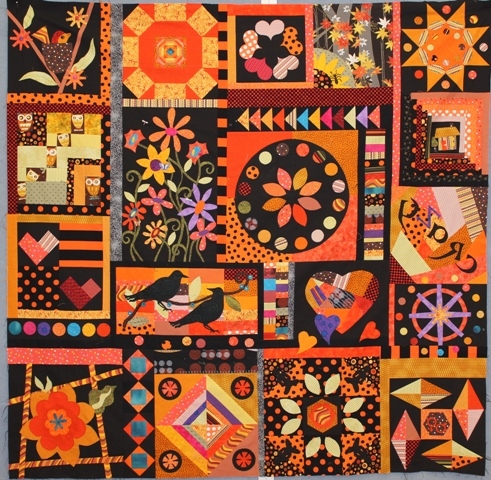 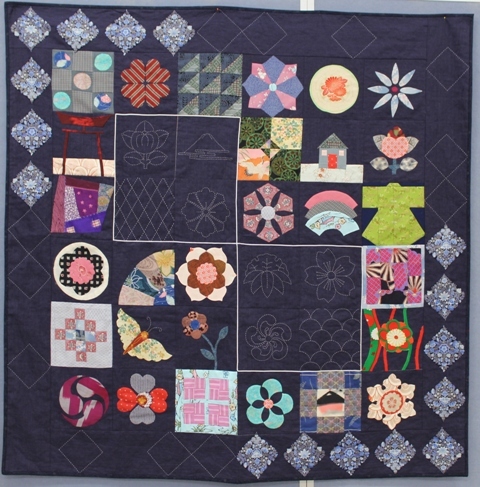 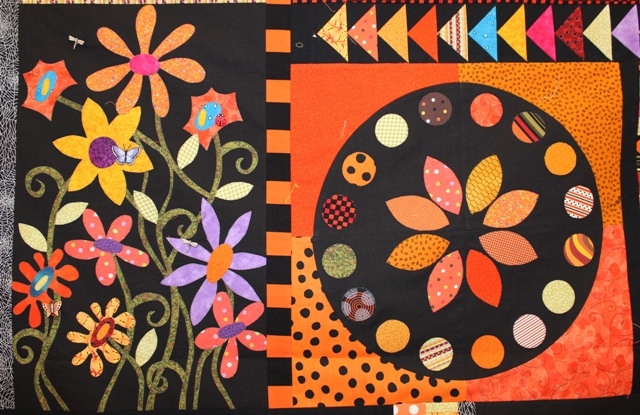 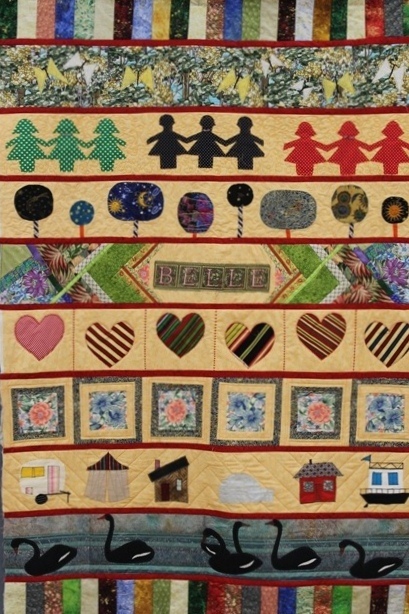 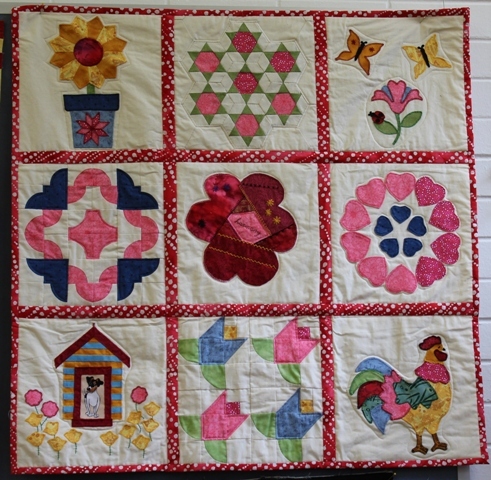 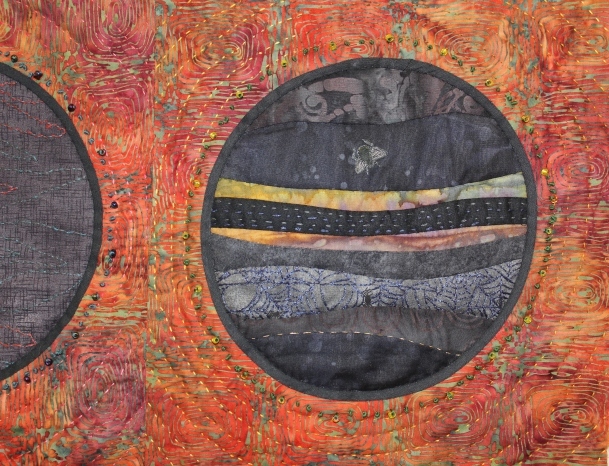 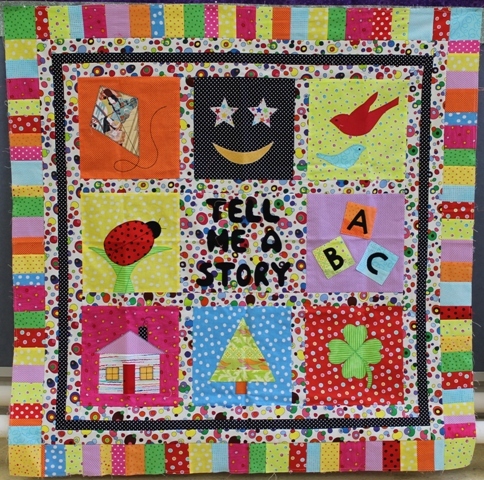 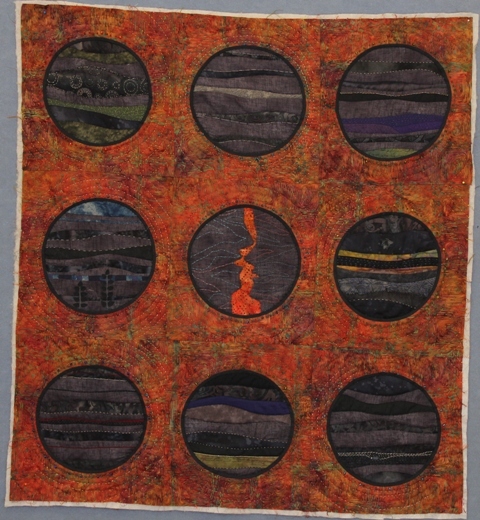 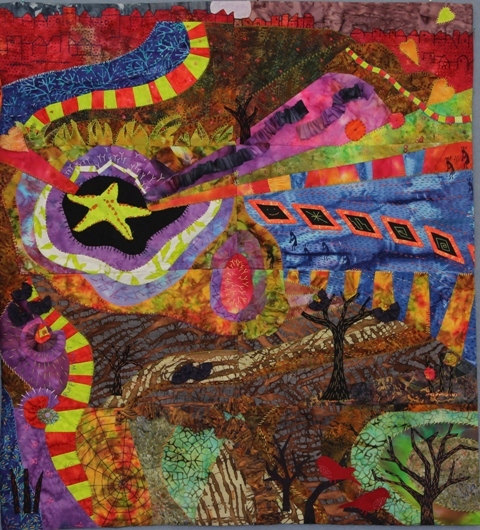 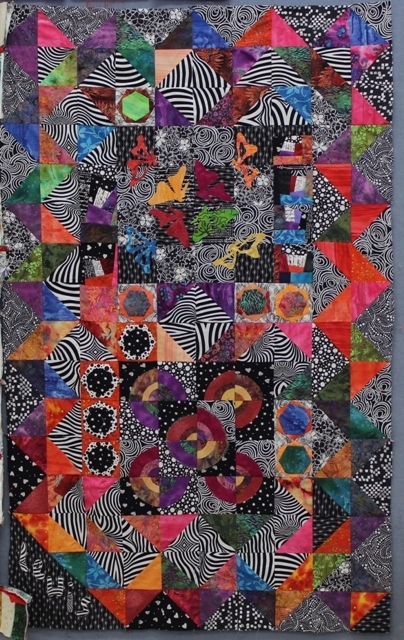 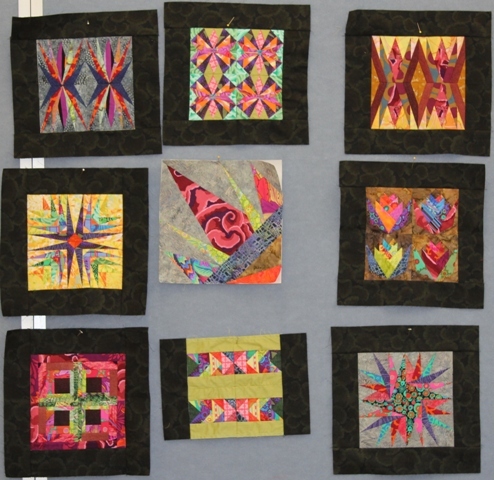 In 2011 the group met on the second Wednesday of the month and made row-by-row quilts based on design elements set each month. 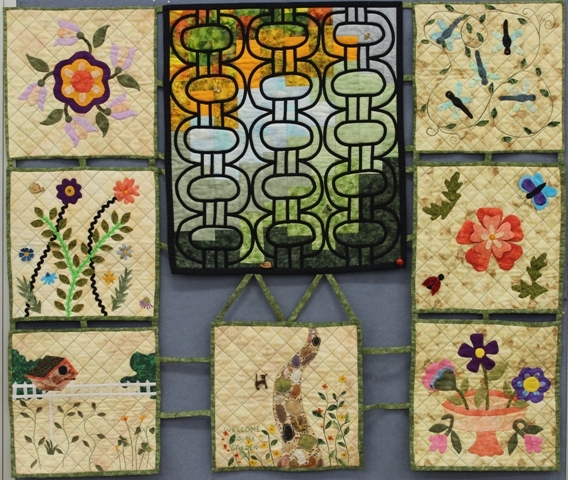 In 2012 the group met again and this time the design opportunities were expanded. 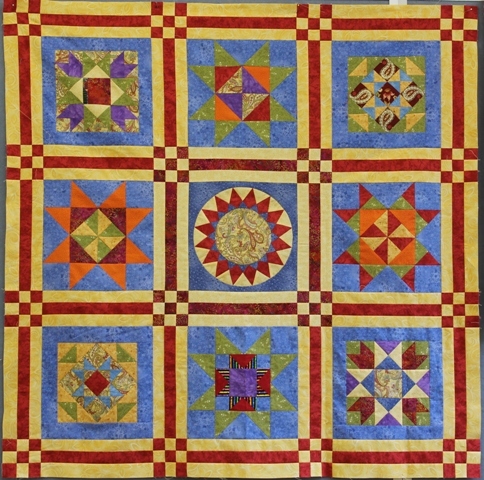 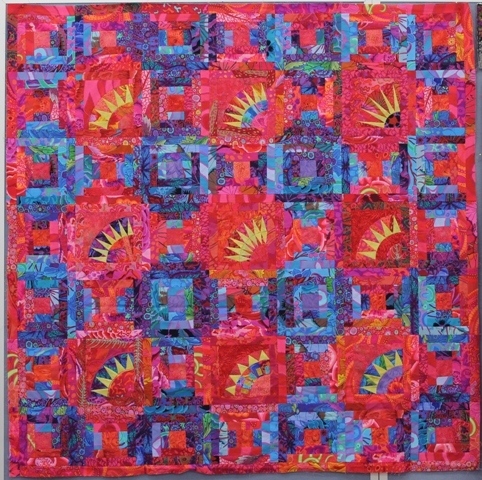 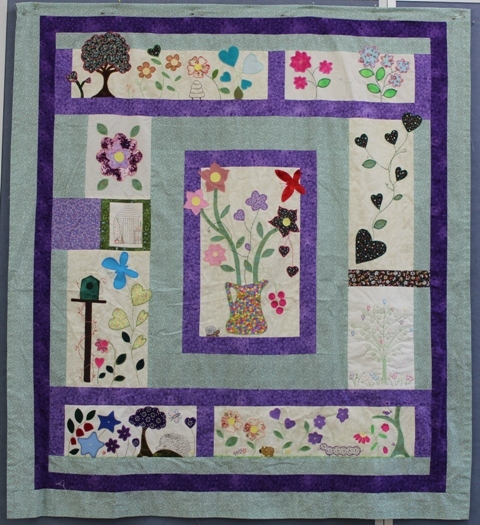 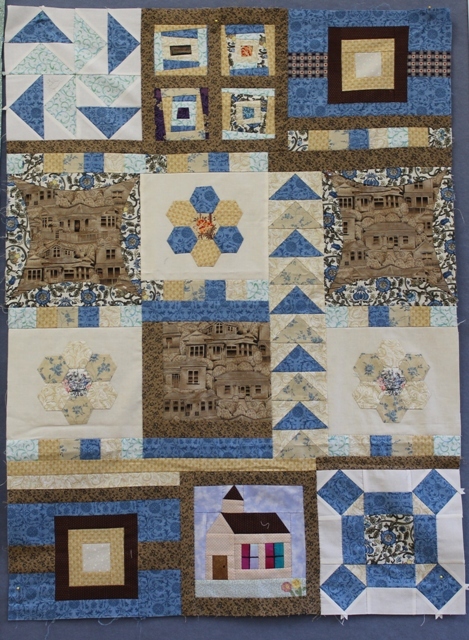 You could make a row-by-row quilt, or create a feature block each month and then incorporate the blocks into a quilt. 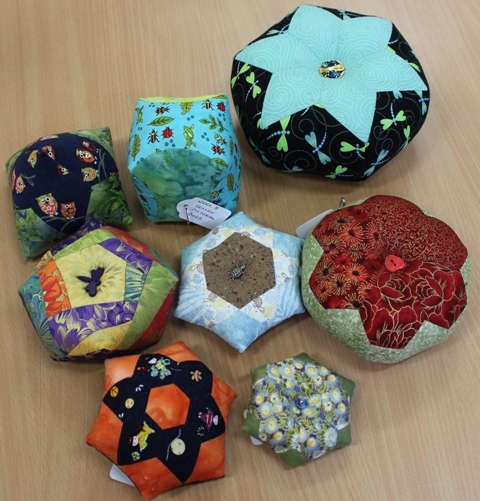 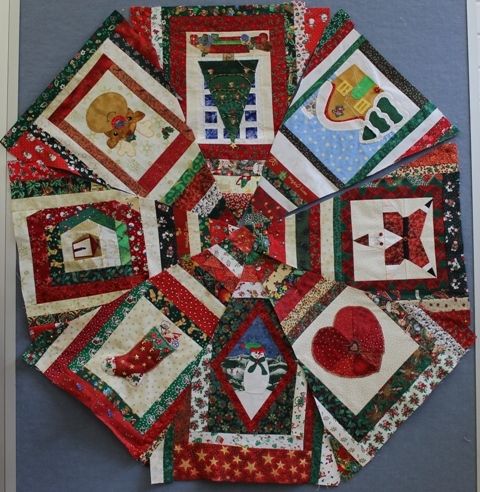 Some members chose a different path- one made a jacket, one made a set of Christmas-themed placemats, one a tree skirt and another made a pincushion each month. 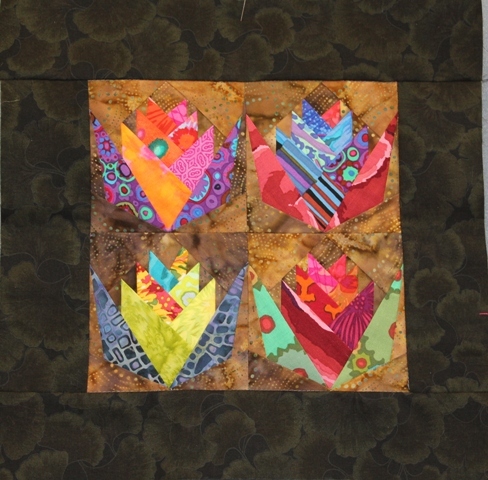 Set out below are images of the final (or nearly final) projects. 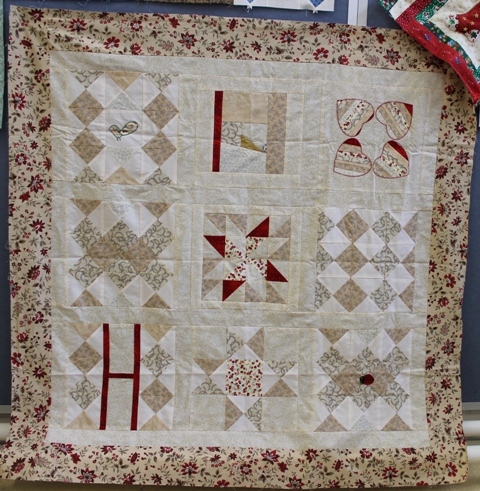 Look out for future blog posts about the first meeting in 2013 on February 13.